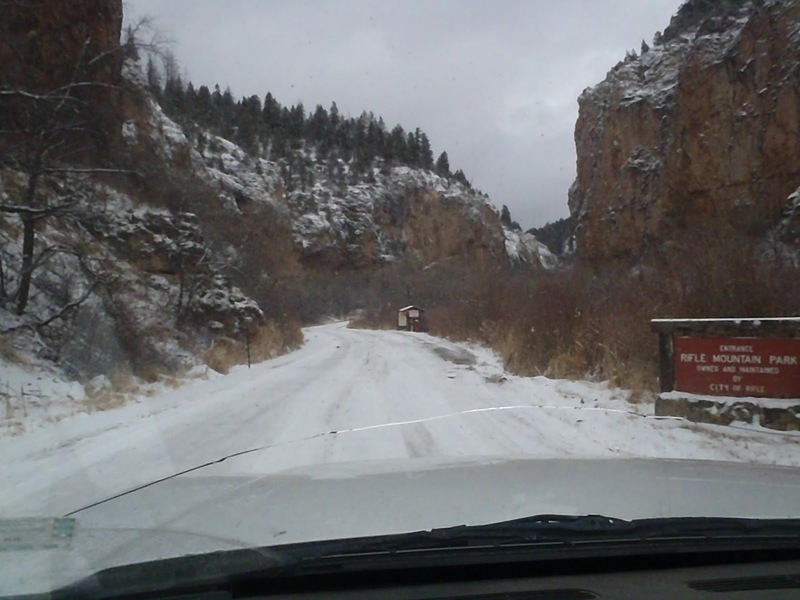 Heading into the canyon a couple weekends ago. If I didn’t drive the truck I would not have made it with my wifes car. Mike B getting it on. Notice the nice frozen waterfall in the background. 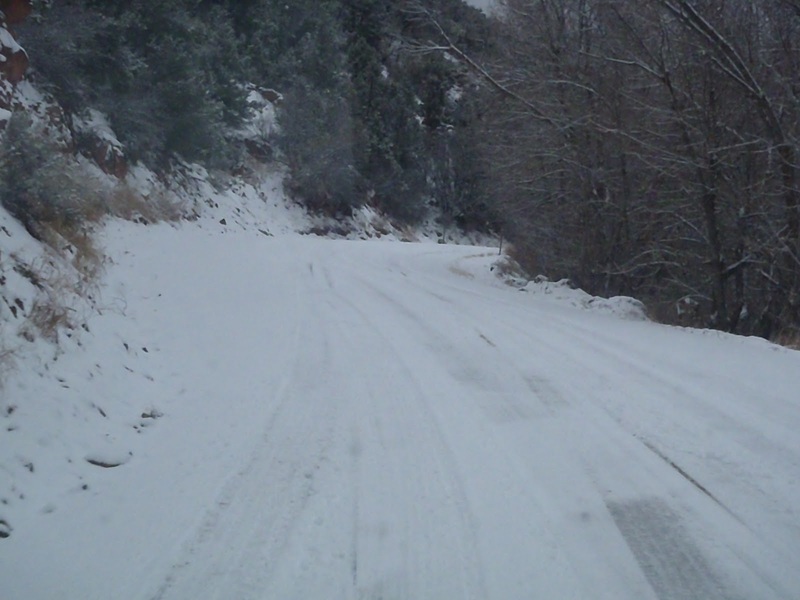 It was a balmy 22 degrees all day. 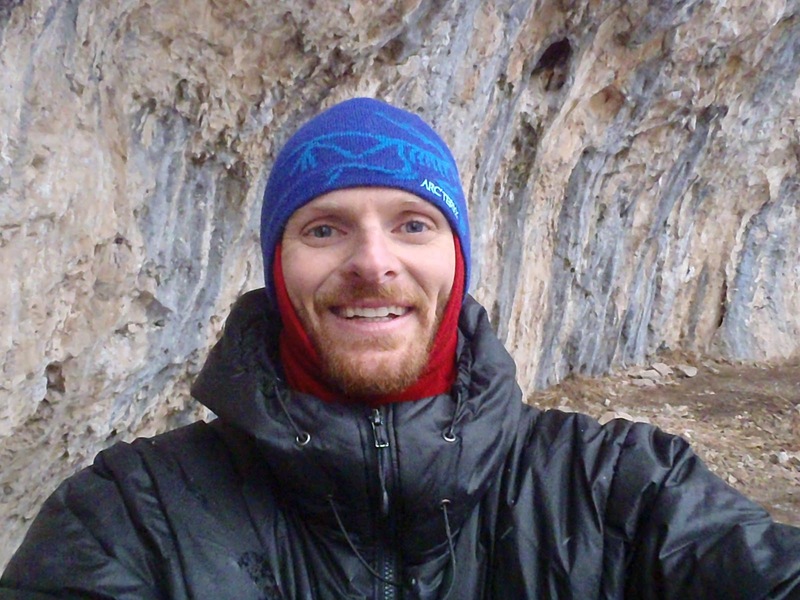 My hands only got cold on the first route cause I had to knock and blow some snow off a few holds. 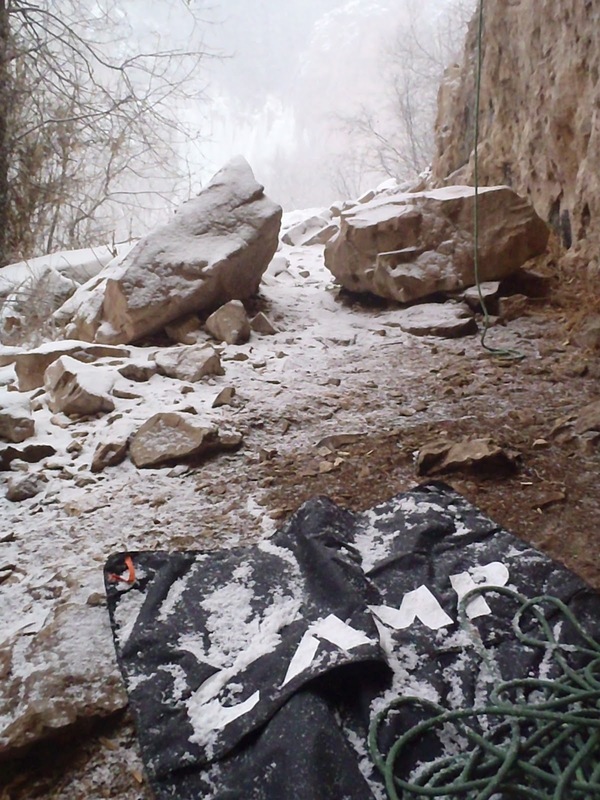 The snow began to blow into the cave that we were climbing in and cover up the rope bag and rope! 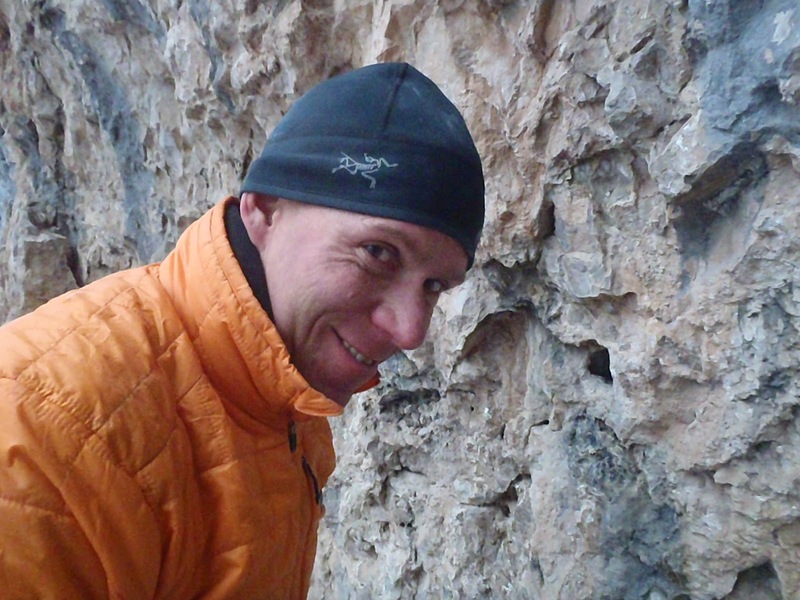 I wore an Arcteryx top and thermal to climb in alond with my windx-treme and arcteryx hat. No socks and no thermals on the legs. 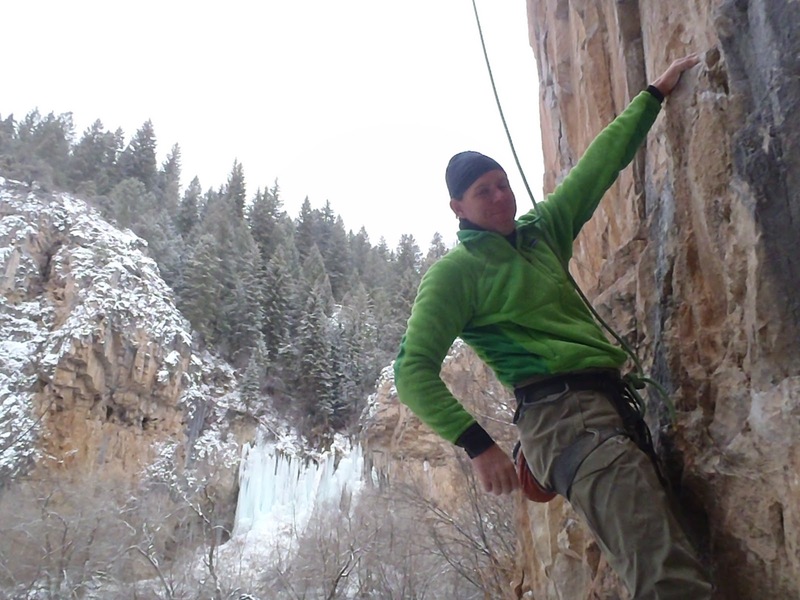 Mike is always ready for a day of climbing no matter what the temps!